Our good friend Chef Louis Pickens of Black Betty's Bistro created this scrumptious dish for his School Lunch Program. We watched the kids at La Petite École lick their plates clean! It's sure to become a regular in your meal line-up. Sprinkle onion powder, salt and white pepper on salmon pieces. Spread Kelp Purée over entire surface. Sprinkle with sugar and parsley. Place salmon pieces skin-side down on baking sheet. Place under broiler and cook for 10 minutes until the surface of the salmon is browned, the edges are slightly charred, but fish is still soft to touch. Serve with buttery mashed potatoes and sautéed broccoli. Pairs with: Crisp white wine such as Pinot Grigio, Chablis or Sauvignon Blanc. 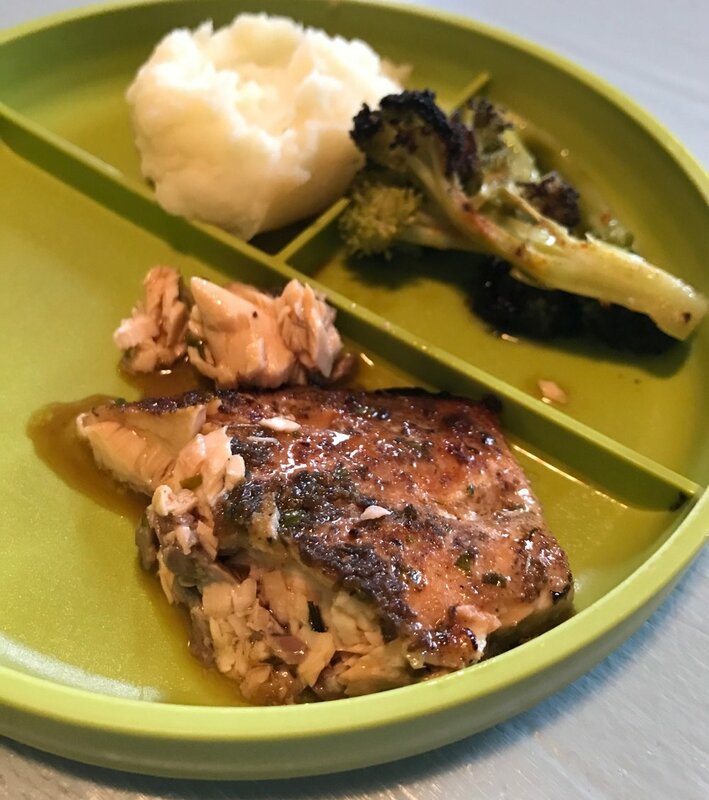 Tagged: Best salmon dish ever, Kids love it!